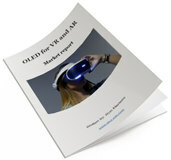 In March 2017 OLED maker BOE Technology and OLED Microdisplay maker OLiGHTEK announced a new $170 million joint-venture to produce OLED microdisplays for the consumer VR and AR markets. US-based microdisplay-maker Kopin signed agreements with OLiGHTEK and with BOE's JV with OLiGHTEK for the production of its OLED microdisplays. In August 2018 Korean ET News said that BOE is getting ready to start trial production in the new fab in early 2019. 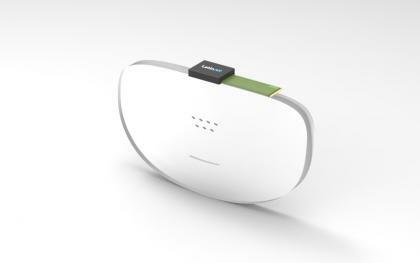 During Kopin's recent conference call, the company's CEO said that BOE's factory is "actually finished". All the equipment has been installed and the company is running first test runs and the first production samples should be produced in a few days, hopefully. Where are the transparent OLEDs? Transparent displays are of great interest, and many envision a plethora of possible applications that use transparent screens in the retail, commercial and consumer markets. 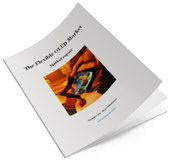 There are many exciting applications - but none with real and immediate demand. Many OLED makers are developing transparent OLEDs, and in the past we've seen several producers that introduced such displays to the market - only to halt production a few months later. Device makers are on the lookout for such displays, and are still disappointed even though the technology is ready. 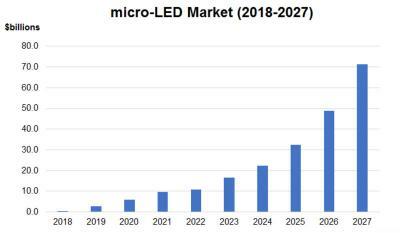 n-tech Research released a new Micro-LED market report in which they estimate that the market will grow from $2.7 billion in 2019 to over $70 billion in 2027. 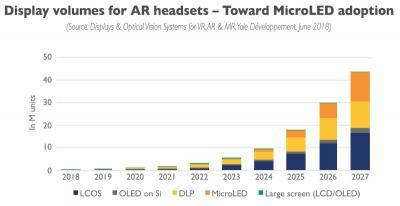 The markets for Micro-LED displays, according to n-Tech, will include wearables, near-eye displays, HUDs, projection displays and extra large area displays. All of these applications will benefit from the small size, low weight, high brightness and high resolution of Micro-LED displays. 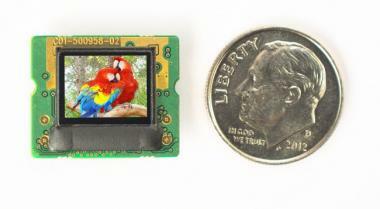 Extra large-area displays will benefit from the linear scalability of Micro-LED displays.